Some gadgets are useful and some are plain pointless. These belong to the latter. It’s a funny thing, technology. It’s supposed to make lives easier. It's a problem solver. But some try too hard while some just miss the mark completely. In the end, they just end up being absurd, weird and downright ridiculous. Some products change our lives for the better, some end up becoming a necessity. Then there are some that are no more than a money-making ruse by companies. They are packaged as something futuristic, but even after a millennium, it’s unlikely we can ever put these products to good use. 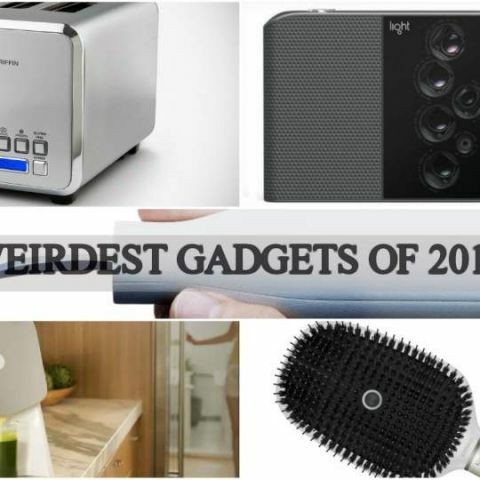 In this list, we list out the most ridiculous products we saw come out this year. Some were broken from the start, some were totally overkill while some were just pointless. 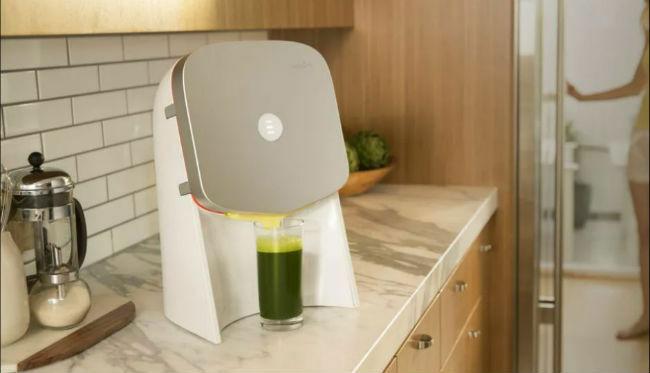 Juicero could very well be the poster boy for tech that is completely pointless. The overpriced Wi-Fi enabled device was technically launched in 2016 but it was this year when the smart juicer was hailed as the worst technological innovation of all time. The juicer didn’t allow you to juice fruits and vegetables you normally buy from the store. Instead, the $699 juicer worked only with proprietary packets of blended produce, each priced $4-$10 which was only available through subscription. If that isn’t outrageous already, Bloomberg soon discovered you can simply use your hands to squeeze the packets to get the juice. No Juicero needed. The company continued to claim the machine delivered better results and Wi-Fi helped subscriptions to the juice packets easier, but ended up refunding its customers and shutting shop after 16 months of operation. For long, the perfect example of tech that we don’t need was an app-based toaster. 2017 finally saw the joke becoming reality thanks to Griffin, a company that claims to manufacture “useful and fun solutions”. 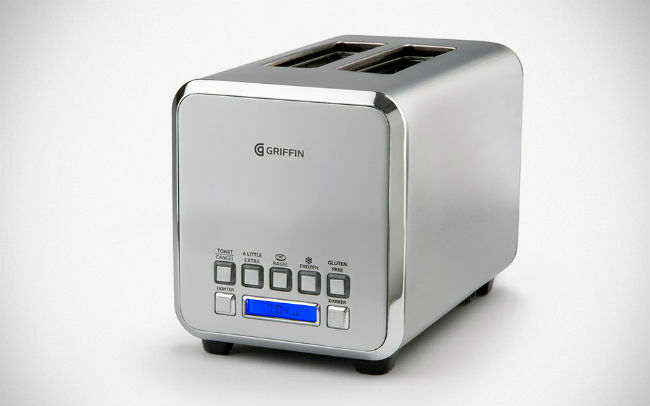 The Griffin Connected Toaster has Bluetooth connectivity and a smartphone app. It costs $100 and its only mission is to make your bread toast perfectly crusty. The app will let you set the precise toast settings with a few taps and even remember your preferences. But then again, so does the rotating dial on dumb toasters. 2017 seemed like the year when companies thought, if it’s not broke, just put Bluetooth in it and call it ‘smart’. That’s exactly what Nokia-owned Withings and L’oreal did with its connected hairbrush. 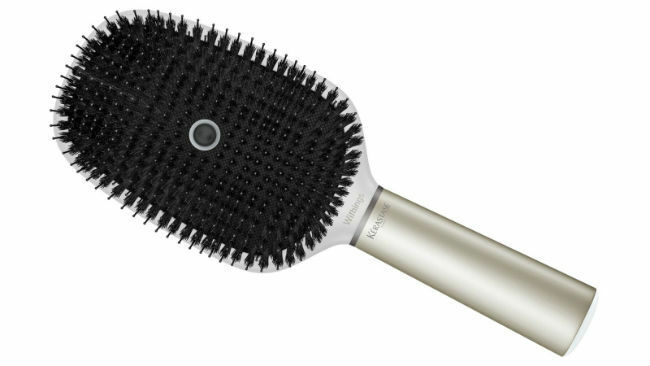 Apparently, you weren’t brushing your hair that well all this while, so you might need help of a hair-brush that has microphones, and a bunch of other sensors that will analyse your brush strokes and send the data to the app on your smartphone. The app will then tell you if your hair is ‘unruly’ based on how long you spent brushing it, as if you won’t know it yourself. This was the year of AI, not. AI-based digital assistants are now one too many thanks to offerings by Samsung, HTC and even Panasonic. However, none of them are actually useful. 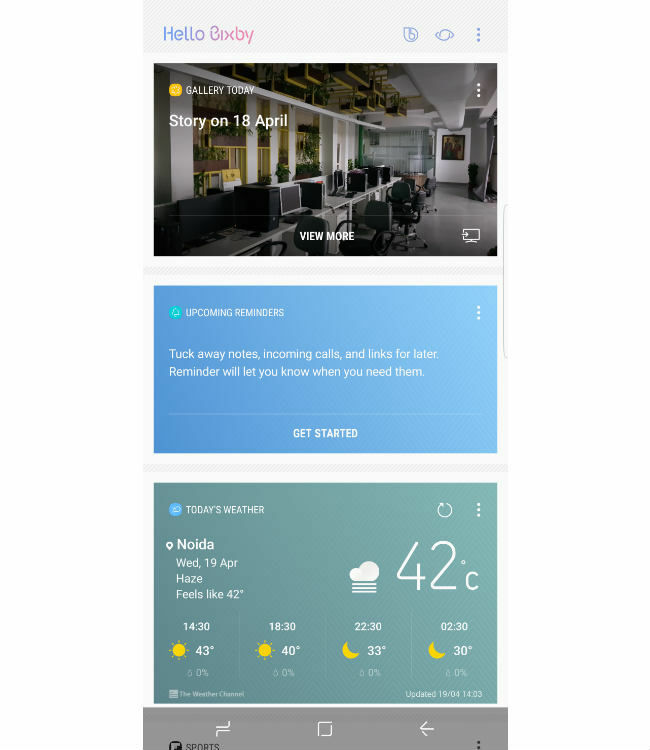 Samsung’s Bixby goes a step further by becoming a physical bloatware as Samsung thought putting a dedicated button on its phones will make life remarkably easy. Truth be told, Samsung’s AI was hyped up to learn your daily habits and tailor itself to your life. Samsung promised visual search, contextual commands, all through an apparently easy interface. In reality, none of the features actually worked. For one, the voice commands weren’t available for the first three months of its arrival, and even when it did arrive, it was hardly reliable. Bixby does hold a potential and it remains to be seen what Samsung will do with it in 2018, but for now, we will give this one a pass. 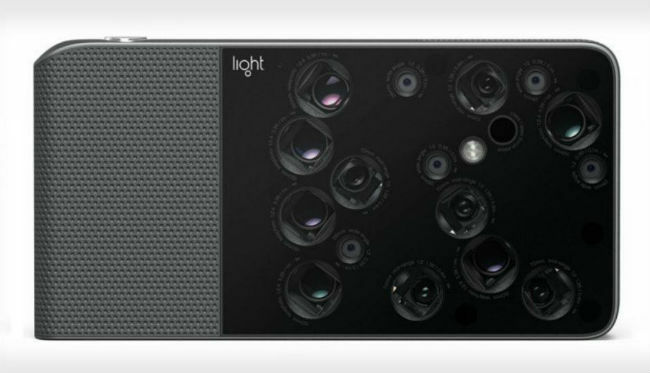 The Oxford dictionary defines ‘overkill’ as excessive use, treatment or action, but for better understanding, let’s just change its definition to the Light L16 camera — A camera with 16-cameras that can take 81-megapixel photos. It consists of 16 individual camera modules and the images captured from them is combined into a single photograph, giving you a glorious shot packed with pixels. Apart from that, it can do ultra-lowlight photos, 5X optical zoom, depth of field control, focal pane adjustment, fine image noise control and much more. Call it a ‘supercamera’ if you will, but I’ll just stick to overkill. Reinventing the wheel is a phrase that has been used way too many times but trust Jaguar to actually try and do so. And amusingly, this wheel is square. This isn’t a car. It’s an independently operating steering wheel. 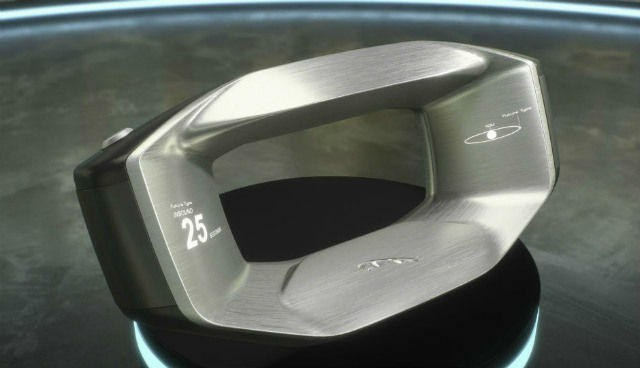 Jaguar’s concept of a futuristic steering wheel is a bit too sci-fi for the immediate future but hey, this is 2017 and we have seen all sorts of dumb things becoming smart, so much so, that almost nothing surprises us anymore. Named after its beloved designer, the Jaguar Sayer is an AI-based rectangular steering wheel that you carry along with you at all times. This belongs to a future when owning a car is too mainstream. Instead, you own just the steering wheel. It syncs with your smartphone and delivers not just your driving requirements, but also allows you to live out of a steering wheel. Perhaps the most ridiculous piece of tech in this list, the Jaguar Sayer is nowhere close to being real, but we wish it were. So much. Do you harbour a fantasy of speaking like Bane while you are on your phone? Then the Hushme is the perfect device for you. 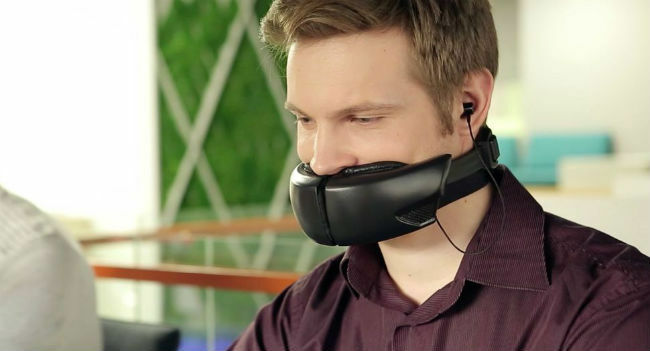 A Kickstarter project conceptualised as a voice mask for smartphones that will muffle your voice to prevent people from eavesdropping while you’re on your phone, Hushme is one of the most outrageous gadget we’ve seen this year. But there’s more. Muffling your voice is only part of the deal. Hushme drowns your voice by emitting a series of sounds through a set of external speakers. It might beep like R2-D2 or even make the sound of rain. You can talk like Daft Punk or in the voice of God. But what's most amusing is the fact that a lot of people on Kickstarter thought it’s a good idea and it's already a reality. Apparently, a foul smelling room makes us feel tired. 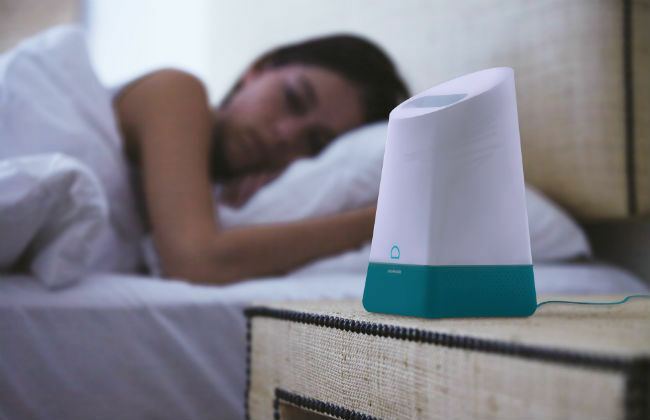 So Sensorwake, a French startup thought it would be a good idea to spread different smells in your bedroom to help you fall asleep faster and sleep more deeply. Sensorwake’s spreads the aromas through recyclable scent capsules and a fan to dispense the contents of the capsule. Consider this an olfactory alarm clock, one that uses aromas instead of the harsh alarm tone. There are two patented scents which include “powered rose, peach and pear with notes of talc and musk.” Now, we might say the job can also be done using scented candles and incense sticks, and they don’t cost $150. Slurping while eating your ramen is a mortal sin and is the last thing you can wish upon on a person. Nissin, the same company famous for making instant noodles, also wants people to stop making that annoying sound of slurping noodles. So it came out with a Ramen Fork that is fitted with noise-cancellation tech which, lo and behold, connects to an app on your phone, and emits a certain wavelength of sound to cover up the sound of slurp. Yeah, that’s just about it. It’s battery powered and not waterproof and already available for $130.